Gluten Free Oatmeal Raisin Cookies. Who doesn’t like cookies? The oatmeal raisin cookie is such a classic. 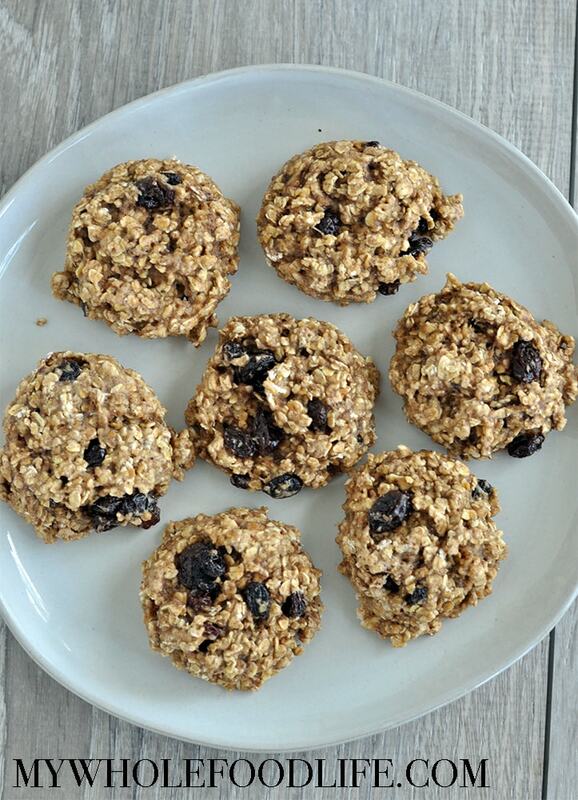 Most of us have memories making oatmeal raisin cookies as kids. I know I used to. 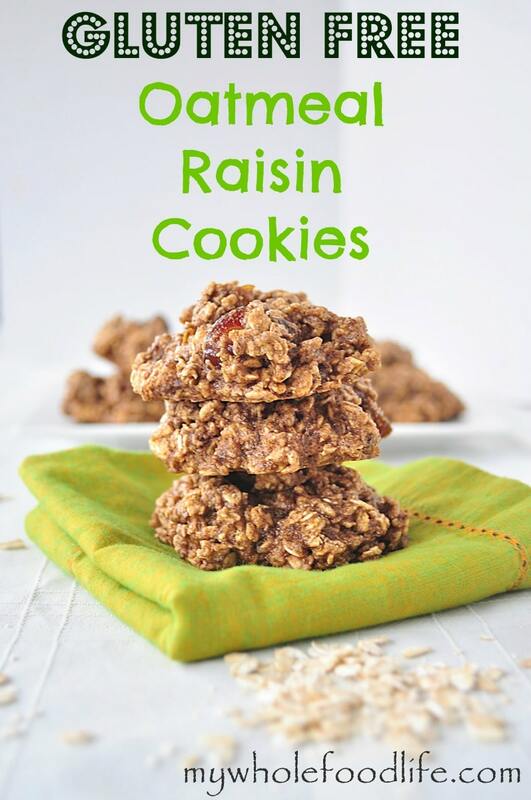 So I wanted to create a healthier of version of the classic oatmeal raisin cookies. 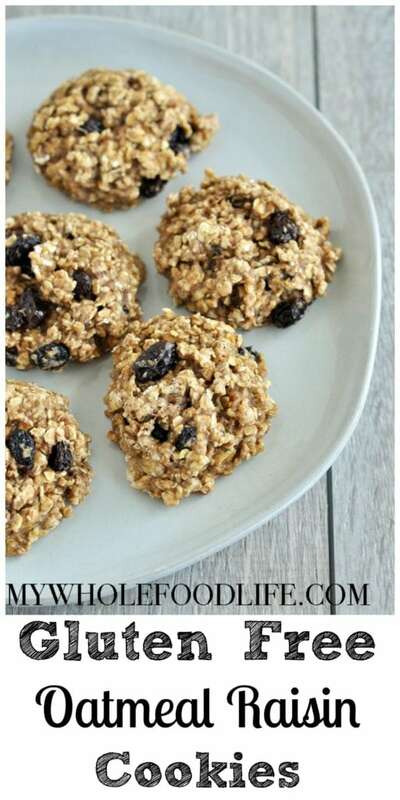 This oatmeal raisin cookie recipe is not only healthier, it is also gluten free, oil free, and vegan. Oatmeal raisin cookies are so yummy. Super soft cookies, bursting with cinnamon and raisins. Just making them makes your whole house smell amazing. These cookies are made with no oil and no butter. So feel free to have a few! 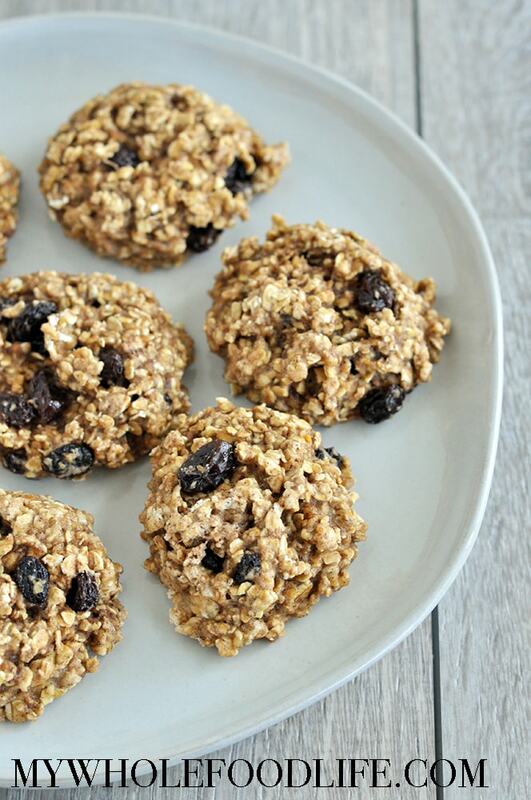 A healthier version of the classic cookie! Add wet to dry and mix well. Drop cookies onto a lined baking sheet. Wait until the cookies are completely cooled before removing. I made this recipe two times. One with chopped dates and the other with raisins. Either is good, but I loved the chopped dates! Store these cookies in the fridge. If you intend to keep them longer than a week or two, you can freeze them. I freeze mine in a zip lock bag. Enjoy!